The Russian Federation should report on respecting the rights of Ukrainians and Crimean Tatars in the Crimea it has occupied. August 3 – 4, the 93rd session of the Committee on the Elimination of Racial Discrimination in Geneva will review the official and alternative reports of the Russian Federation on the implementation of the rights of ethnic minorities living in the annexed Crimea, in particular Ukrainians and Crimean Tatars. An Alternative Report "Racism, Discrimination and the Fight against "Extremism" in contemporary Russia and in the territories under its control. On compliance with the UN Convention and the elimination of all forms of racial discrimination by the Russian Federation" was prepared by the Ukrainian public organization "KrymSOS" together with the Russian Anti-Discriminatory Center "Memorial" and the "Owl" Center. 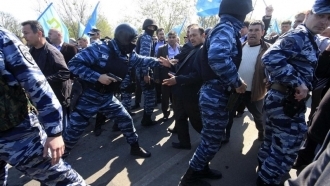 In a commentary to QHA, KrymSOS activist and human rights defender Evgenia Andreyuk noted that the main emphasis in the report is on ethnic discrimination of the Crimean Tatars in the Crimea. 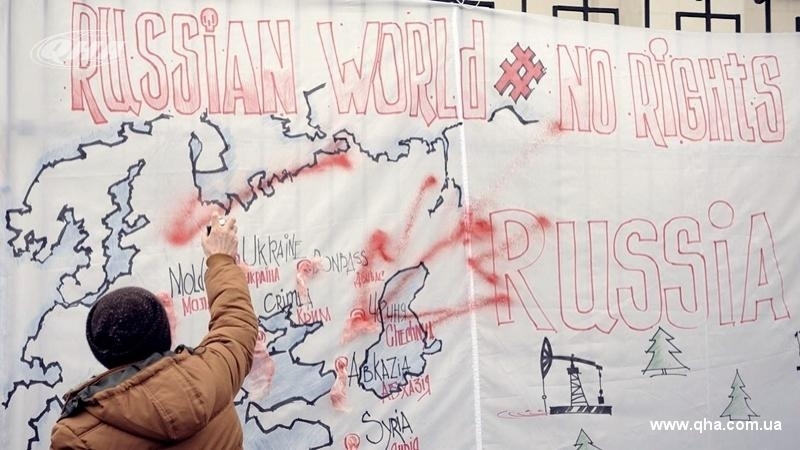 “Why do we regard Crimea within the framework of Russia? Because de facto Crimea is under the control of Russia, and it means that the obligations lie on Russia. This is a report on discrimination on the basis of ethnicity in the Crimea. What we are talking about is the ethnic discrimination of the Crimean Tatars. It is presented in various aspects. As political persecution and abduction, as well as restrictions on the right to education, studying mother tongue, freedom of religion, access to cultural facilities and imposed propaganda,” she explained. According to Andreyuk, apart from Ukrainian and Russian human rights organizations, the so-called Russian GONGO (Non-Governmental Organizations which are de facto organized or operated by the government) submitted their "reports" as well. “Qirim Birligi also submitted one. Who of them will come from Crimea to Geneva for hearings?! Let's see ... It is obvious that this issue is important for Russia, and RF actively lobbies it," she added. "KrymSOS" noted that when submitting its official report, the Russia attempted to influence the Committee and prevent the consideration of an alternative report. This is not surprising, since the official report prepared in the state organs of the Russian Federation, conceals violations of human rights both inside the country-aggressor and in annexed territories. The decision of the Committee will be known in a few months, Andreyuk said. It will be presented in the form of recommendations of the Russian Federation.